What is the best order fulfillment service? The best order fulfillment service is Fulfillment by Amazon (FBA). It takes care of all your order fulfillment needs from storing, picking, packing and shipping the products to providing stellar customer service. The products listed on this service are also eligible for free shipping for Amazon customers and free two-day shipping for Amazon Prime members. Do you run an online store with no warehouse or distribution facilities? Or, do you have a brick and mortar store but want to minimize infrastructure costs? Outsourcing an order fulfillment service is a cost-effective solution that saves you time, helps you avoid adding more staff and prevents costly long-term leases. Entrusting your business logistics to a third-party service is a crucial decision as you will put your company’s reputation and investment on the line. It’s important to drill down the basics of what an order fulfillment service is first and understand the service well. We’ll go into details of the features, types, and important buying factors of popular services to consider before you spend (and avoid wasting) money, time and effort on any service. Your company can benefit a great deal by outsourcing all or part of your order fulfillment operations. This is especially recommended for online stores that do not have warehouse and distribution facilities. In addition, even prominent “brick-and-mortar” enterprises can opt to hire order fulfillment services to enhance operational efficiency and reduce infrastructure expenses. By 2020, however, things might get a really drastic overhaul: it is predicted that 65% of e-commerce operations will employ autonomous robots to their order fulfillment services, a shift that looks to improve their productivity by more than 100%. With that in mind, let’s proceed in discussing what an order fulfillment service is and getting to know the top products in this category. 1. What are Examples of Best Order Fulfillment Services?  Rakuten Super Logistics – Rakuten Super Logistics is a cloud-hosted fulfillment management system with an all-in-one service that can manage to ship across the US and around the globe. It has a special shipping tool that can calibrate and suggest the cheapest shipping method available based on the desired delivery date. RSL has eight fulfillment centers that allow for orders to be shipped within one business day. It integrates with major shopping carts and can be installed on a vendor’s website with API integration. Fulfillment by Amazon (FBA) – With FBA, you can store your products in Amazon’s fulfillment centers and the vendor packs, ships, and offers customer support for these products. It’s recommended for Amazon sellers and eCommerce companies selling. Amazon has created an advanced fulfillment network. On top of that, FBA can help you scale your business and service more customers. ShipBob – Helps eCommerce businesses with logistics and shipping. Ideal for crowdfunding campaigns with less than 1000 unique SKUs, small sellers, and startups. ShipBob’s scalable solution utilizes technology, fulfillment, and logistical efficiency to get your products fast in the hands of your customers. This vendor manages its own warehouses and fulfillment. They also provide a full-service technology dashboard. FulfillmentCompanies.net – Offers high-quality contact center solutions and custom fulfillment services. Its solutions are tailored to match specific budget, shipping, volume, and storage needs. This firm takes the guesswork out by rigorously screening companies. They are experts in the fulfillment industry so you can depend on them to find the right service for your fulfillment needs. Red Stag Fulfillment – Offers world-class eCommerce order fulfillment and 3PL (third-party logistics) services. Best for sellers shipping high-value, heavy, oversized, or special-handling products. Red Stag’s strategic placement of fulfillment warehouses in the US can help your company reduce the cost of shipping orders to your customers. Combined with the vendor’s shipping rate discounts and same-day fulfillment guarantees, its national fulfillment network can help lower your business expenses while improving your customers’ satisfaction. FedEx Fulfillment – Provides you a holistic, all-in-one approach to outsourced logistics including warehousing, fulfillment, packaging, and transportation. Ideal for international and multichannel sellers looking for an alternative to FBA. This vendor promises to empower your company to scale as its experts focus on delivering a high-quality customer experience on behalf of your brand. In addition, their dedicated customer success specialists will closely collaborate with you all the way to ensure you and your customers receive top-notch care. Fulfillify – Offers ‘pick, pack, and ship’ services, inventory management, kitting and returns processing. Recommended for all types of shippers plus subscription box businesses requiring custom packaging design and printing. Key advantages are fast signup, no setup fees, no long-term contracts, and top-notch fulfillment capabilities. This provider promises to reach 98.6% of the U.S. population in 1-2 days. Ships-a-Lot – Offers class top rate eCommerce fulfillment and 3PL services. Best for high-volume Shopify sellers and crowdfunding campaigns requiring large batch fulfillment. Ships-a-Lot boasts an impressive 99.98% accuracy rate. This vendor counts daily inventory with barcode scanners and logs all adjustments to guarantee the accuracy of your inventory. Fulfillment.com– Helps you minimize your shipping costs, automate your fulfillment, and foray into new markets. Best for enterprises requiring a network of fulfillment centers in the US and UK. You can leverage this vendor’s technology and logistics infrastructure for fulfillment and focus on your core processes. Plus, you can broaden your customer reach by expanding to their global network of warehouses. VelocityShip – Recommended for small and large eCommerce sellers including subscription box businesses. VelocityShip has API integrations that enable its software to sync with your online shopping cart, automating the entire ordering process. Plus, this provider leverages state-of-the-art fulfillment technology to allow you to meet your demand on a global scale. 2. Why Use Order Fulfillment Services? Eliminate fixed costs. Your inventory costs rise during lean seasons as goods lie idle but you still need to shell out rent and utility expenses for warehouse space. You can change this fixed cost into a variable one by hiring an order fulfillment service. Your order fulfillment costs will go down during lean season and increase during peak season with more sales. Focus on your main capabilities. You don’t have to worry about the complex logistics of order fulfillment. Simply hire an order fulfillment provider and let them do the packing and shipping while you focus on improving your product and customer service. Reduced shipping costs. Your business can benefit from offering free shipping to buyers. You can do this by hiring an order fulfillment firm that boasts regional, national, and international infrastructure. These companies can provide bulk delivery discounts which enable you to offer free shipping. Sales fluctuation and seasonal flexibility. During peak season, your sales increase and you need to hire additional workers, purchase more equipment, and lease extra warehouse space. However, during the lean season, you will be saddled with these investments which will go idle. The solution is to hire an order fulfillment service and provide them the necessary levels of orders to meet current demand. Expand into new markets. You can foray into overseas markets without making an undue capital investment. If you suffer losses, you can pull out any time without losing much. The order fulfillment services company supplies the infrastructure and scales it to keep up with your business growth. 3. 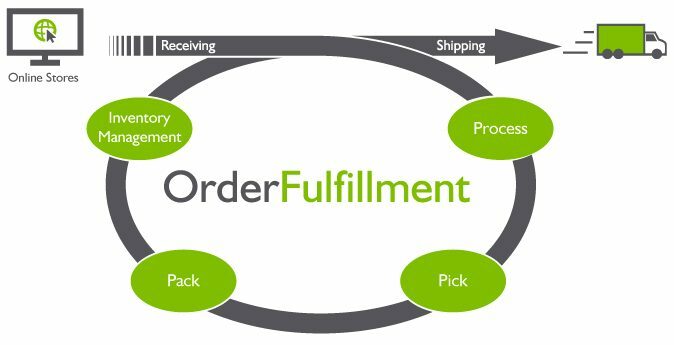 What are the Types of Order Fulfillment Services? 3PL companies – these firms usually offer storage and order processing services as well as full-scale shipping services. Order fulfillment firms – these firms focus on receiving orders for products and shipping them to buyers. Apparel fulfillment firms – these firms focus on the storage and distribution of clothing and apparel. Public warehouse firms – these services store products and ship out orders. CD/DVD fulfillment services – these firms make CDs and DVDs and ship them to customers. eCommerce fulfillment firms – these companies fulfill orders from online shopping carts. Pick and pack firms – another name for order fulfillment services as they “pick and pack” orders. Product fulfillment firms – these firms fulfill orders for various products. Literature fulfillment firms – these organizations distribute literature products and may also offer print services. Fulfillment and call center companies in one – these enterprises offer fulfillment and call center services bundled together. Warehouse firms – these firms simply store products in a warehouse. 4. What Do Order Fulfillment Services Do? FBA integrates with your sales channel. 5. What To Consider When Hiring an Order Fulfillment Service? Shipping options – The order fulfillment company should offer a range of shipping options such as UPS, US Postal Service, and FedEx. Also, find out if the firm delivers goods to major postal centers in the US. Turn-around time – Some firms ship all products received before a specific hour each day or cutoff time. If you miss this time, your goods would need to wait until the next shipment. So, learn about the provider’s turn-around policy and schedule your orders accordingly. Percentage error – Find out the percentage error rate of various order fulfillment services and select the one with the lowest error percentage. Remember that even a 1% error rate means one in every 100 orders will end up in the wrong hands. These can mean hundreds of wrongly delivered orders if the firm delivers thousands of orders every day. Management – Talk to the managers of the fulfillment company about their organization’s work ethic and business philosophies. Check the key performance indicators they use and how they measure success. In short, the top management should be reputable and reliable. Reputation – Select a company that has established a proven track record over the years. Ask for references and search online for feedback on their service quality. Costs – Some fulfillment companies use a sliding scale schedule while others may charge you for each order or item they ship. You also need to pay inventory storage costs at the fulfillment’s company’s warehouse. Know about all the storage and order processing costs and select the best deal for your company. Size – The fulfillment entity should scalable to meet the rush of higher order volumes during peak season. Plus, they should have the capacity and equipment to handle complex and large product kits if your company manufactures these items. Location – The order fulfillment partner should be located near your target market. This proximity offers advantages such as lower costs, faster shipping time, and lower carbon footprint. Support – You should be able to easily communicate with the fulfillment company via phone, email, and website. Make sure you can easily reach providers on their support channels. 6. What are the Costs of Order Fulfillment Services? Here are some sample pricing information for popular services. Keep in mind though that exact rates may vary and you should always ask for a custom quote for your company. Fulfillment By Amazon (FBA) – It has various fulfillment pricing options to suit your needs. It has a plan for fulfillment and storage ranging from $2.41 up to $137.32 depending on size. Meanwhile, storage fees cost from $0.69 to $2.40 per cubic foot per month depending on the month. There are also specialized pricing depending on the product. ShipBob – Pricing is based on the total fulfillment cost with standard fees for direct-to-customer order fulfillment including inventory, warehousing, and shipping. Contact the vendor for a quote. FulfillmentCompanies.net – The cost of the software’s initial setup is around $100 to $1,000. Storage is $8-15 per pallet per month, fulfillment is $2-8 per order, and receiving is inventory is at $35-40 per hour. Red Stag Fulfillment – The vendor tailors pricing to your needs, hence, you have to contact the vendor to request a quote. FedEx Fulfillment – It has custom pricing depending on your needs. You can get the pricing information by contacting the vendor’s sales team. 7. What are the Potential Issues with Order Fulfillment Service? Keep your customers updated. Customers expect to get updated information on their order and shipment status. It’s challenging as information resides in your ERP solution. Meanwhile, customers search for updated details on the eCommerce software. Therefore, automate the process by integrating your ERP and eCommerce systems and keep your customers informed through text messages, email, or other channels. Streamline inventory management. Manage your inventory efficiently. Otherwise, you may face pending orders when items are out of stock, a dead inventory, and rising fulfillment expenses due to poor planning of warehouse locations. Integrate your online store with your inventory management software to streamline your inventory management operations and display accurate info on your eCommerce site. Start on the correct note. You need to provide relevant and accurate product and stock information on your eCommerce website to help buyers make an educated decision. Integrate your online store with your product information management solution to maintain and show accurate info across all platforms. Select the right shipping providers. You need to partner with proven shipping providers to improve the customer experience and your business. If your customer receives an order late, they may never order again. Therefore, take the time to learn about your products and customer requirements, evaluate various shipping providers and options, and select the best services to fit your business needs. 8. What are the Latest Trends in Order Fulfillment Services? Product bundles. A lot of companies are bundling their products to sell slow-moving inventory and improve revenue. 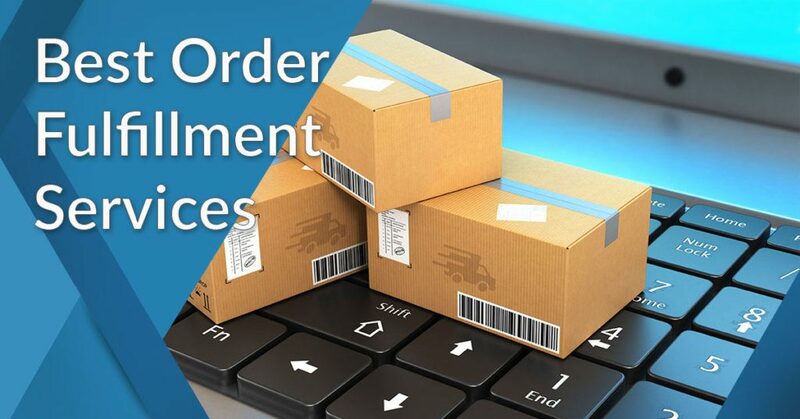 An experienced order fulfillment service can help such businesses to bundle multiple items into a single online order. Multichannel sales. Brands are utilizing multiple channels to sell their goods. They depend on fulfillment providers that use multichannel technology that enables integration with all CRM/ERP/eCommerce platforms and sales channels. Ideally, the fulfillment provider should also be EDI compliant. Subscription box services. These services have become popular in the past few years. Brands are offering monthly subscription boxes for everything – from socks to makeup items. To make your brand stand above the competition, you need to select a fulfillment partner that offers a delightful experience for buyers every month. This will ensure your customers keep their subscriptions active and enjoy the products delivered to them. Personalization. Online product orders are becoming more personalized in terms of both the packaging as well as the door-delivery experience. Therefore, fulfillment providers are boosting their personalization capabilities to help their clients beat the competition and gain greater market share. Now that you have a better understanding of what is an order fulfillment service, you can use your knowledge to look for the best provider that suits your needs best. Having the right order fulfillment solution in your business can give you numerous benefits. For one, it can free up your time to focus on more important tasks that boost sales and growth. When choosing an order fulfillment provider, you have to consider its fee structures, minimum requirements, and specialty to your needs. To expand your choices, you can scour through this comprehensive list of 20 best order fulfillment services and companies of 2019 prepared by our team of experts. We also recommend you to sign up for the products’ free trial to help you determine which one suits your processes without spending money. what happens to stock that you don’t sell? If you don’t want to sell it anymore can you ask to dispose of it?